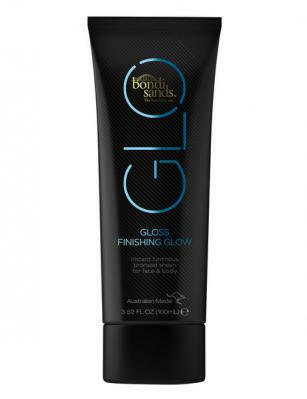 Get a sunkissed glow in an instant with Bondi Sands Gloss One Day Tan. Get a sunkissed glow in an instant with Bondi Sands Shimmer One Day Tan. Get a sunkissed glow in an instant with Bondi Sands Gloss One Day Tan. Our skin perfecting formula glides on effortlessly, giving you a flawless bronze finish. Transfer and water resistant, this high coverage formula is perfect for face and body and easily washes off with soap and warm water. Shake well. Apply small amount of Gloss One Day Tan directly onto the skin. Spread evenly with hands or an application mitt. Reapply Matte One Day Tan as required. Now would be great time to take an after photo and #bondisands. Use only as directed. This product is for external use only. Keep out of reach of children. Babies 6 months old and below should be kept out of the sun. Keep away from the eye area. Ensure that you keep away from factors that may dry your skin such as salty water, chlorinated water or even showering with very hot water. If itching, redness or irritation is experienced, discontinue use.